Johnson’s work in all its academic and creative forms explores the intersections of race, gender and sexuality. One of his groundbreaking contributions has been the integration of queer theory into the field of Black studies. Much of Johnson’s research and performance has incorporated oral history, reaching back to his dissertation in which he told the story of his grandmother, who was a domestic servant in the segregated South. In writing his award-winning 2008 book Sweet Tea: Black Gay Men of the South — An Oral History (University of North Carolina University Press, 2008), Johnson conducted interviews with 79 men, 13 of whom he later portrayed in a theatrical adaptation. He has presented Sweet Tea on 100 college campuses since 2006. In 2009, he expanded the performance into a full-length stage play, for which he won a Black Theatre Alliance Award for best solo performance. 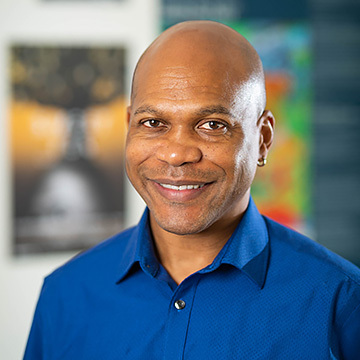 Johnson earned his PhD from Louisiana State University and is now the Carlos Montezuma Professor of African American Studies and Performance Studies, as well as chair of Northwestern’s Department of African American Studies. Additionally, as part of his efforts to reach more diverse audiences and connect with a broad network of scholars and community members, Johnson launched the interdisciplinary Black Arts Initiative at Northwestern in 2012.